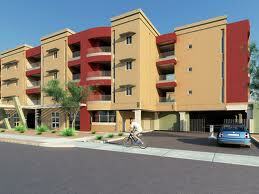 Description: The need for more affordable housing in downtown Phoenix to support a diverse and sustainable community. Need a common definition of what constitutes affordable housing. The definition should be 50% to 60% of medium income. Need public support of affordable housing. Key leadership needs to publicly promote affordable housing using real life examples. Location of affordable housing. Once decided, efforts must be made to alleviate tension between current stakeholders in area (often-negative perceptions) and developer(s) of affordable housing. Need to dispel myths of “irresponsible” low-income renters/owners versus those with perceived higher socio-economic status. Preserve existing affordable housing, including remaining SROs. Provide funding to enable owners of affordable housing to carry out infrastructure repairs/improvements that cannot be supported by low rents. Offer reduction in property taxes to low-income home owners (analogous to the tax reduction available to low-income seniors who are home owners). Affordable housing should embrace efficiency, effectiveness, and general accountability. Recommend that local housing departments not develop affordable housing on their own. Rather that they should form partnerships with private non-profit/for-profit entities. Encourage development of affordable housing in TOD overlays in order to promote ties to public transportation, employment and services (San Jose model). Encourage and streamline development of innovative housing models such as co-op housing, land trusts, adaptive reuse, as examples. Need for government entities to require affordable housing in residential development agreements. Perhaps used as an incentive. When such policies developed, there must be the political will to monitor and uphold them. Tax Increment Financing. The State has a constitutional prohibition that would have to be changed. Tucson and Apache Junction are the only localities that have it. Real Estate Transfer Fee. Although referendum passed to outlaw such fees, an analogous source of funding could be attempted. Use Neighborhood Stabilization Program funding ($39/$60 million) to develop affordable housing. Recycle tax-delinquent abandoned or surplus properties. Reduce impact fees; reduce infrastructure and permitting costs and streamline schedule. Consider taxing empty land as if already developed, using proceeds to develop affordable housing.